This has been the most satisfying re-read of the series so far. I don't think this book was as magical to me the second time because there were no surprises, but I really love the way the relationship between past and present starts to emerge as Harry gets to know Black and Lupin and to understand how his parents were betrayed. In these final chapters, what I enjoyed most was the use of the time turner. I love books that play with time, and the scenes where Harry and Hermione go back and watch themselves living out earlier events held up well for me. While it's a bit easy for Rowling to magically produce this previously unknown object at the end of the story just when the major problems of the book need to be resolved, it's mostly easy to forgive because of all the references throughout the book to Hermione's strange behavior and her impossible class schedule. It's a little unfair that the reader can't figure out the mystery because we don't know there's such a thing as a time turner, but it's still a pretty neat twist to the story. The other thing that stood out to me is Dumbledore's behavior. Dumbledore is one of my favorite characters, but his judgment is often dubious, and it does require some suspension of disbelief. It's just not logical that a grown man - and powerful wizard - would entrust the task of rescuing Buckbeak and Sirius to two students. It's also ridiculous that he puts them up to it, but then doesn't really explain what he wants them to do. Granted, Hermione is smart enough to figure it out within a few seconds of arriving in the past, but still. It's amusing to me how Dumbledore is always either overprotecting Harry or sending him off into dangerous situations on the spur of the moment with virtually no protection. In any case, I'm really excited for book four. I only ever read it once, and I think I've only seen the movie once or twice, and it's a really long book, so I know I've forgotten a lot of what happens. I'm especially looking forward to the Quidditch World Cup and the Yule Ball. 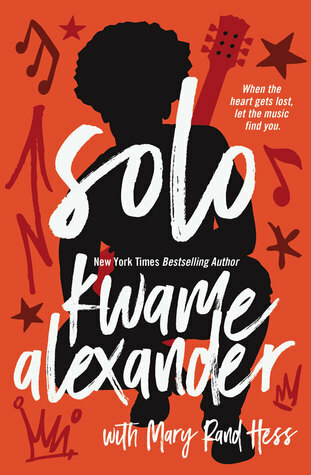 Solo by Kwame Alexander with Mary Rand Hess is the story of seventeen-year-old Blade, a musician, whose mother has died, and whose rock star father struggles with addiction. While Blade's sister, Storm, is able to remain hopeful in the face of all this adversity, Blade has a more difficult time. When he suddenly learns that he is adopted, and that Chapel, his girlfriend, has been dating someone else behind his back, Blade is blindsided and devastated, so he flees to Ghana both to escape his personal problems and to locate his birth mother, who has been living among the people of a small Ghanaian village for ten years. While in Africa, Blade works through a lot of the issues that have been plaguing him, and begins to figure out that he can't run away from his family. 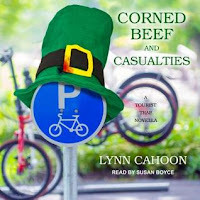 Though some of the themes in this book push the envelope a little bit, this is, for the most part, a wholesome read for teens. The issue of drug addiction is treated tastefully, with an emphasis on the fact that this is a disease against which Blade's father is fighting for his life. There is the slightest hint of sexual innuendo, but the potential romantic relationships in Blade's life are mostly very chaste, and Joy, a girl he meets in Ghana, even says that the most important basis for any relationship is friendship. Characters also make casual references to attending church as though this is a typical and normal part of their lives. The writing is solid, and the 457 pages of verse go by in a flash. 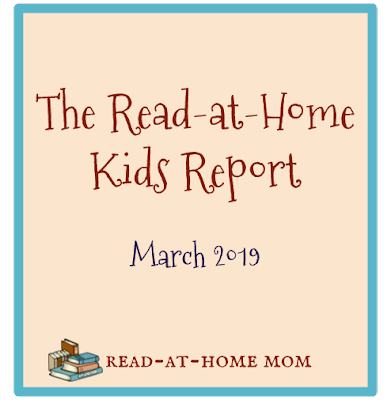 Like The Crossover, this is, at its heart, a story about families, the way they sometimes fall apart, and the uncanny way they also fit back together again. 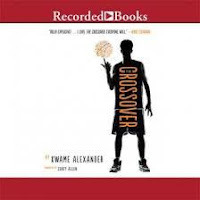 I really enjoyed the book, and I think anyone who loves Kwame Alexander's middle grade work will be pleased with this one as well, though I recommend saving this particular book for older teen readers. 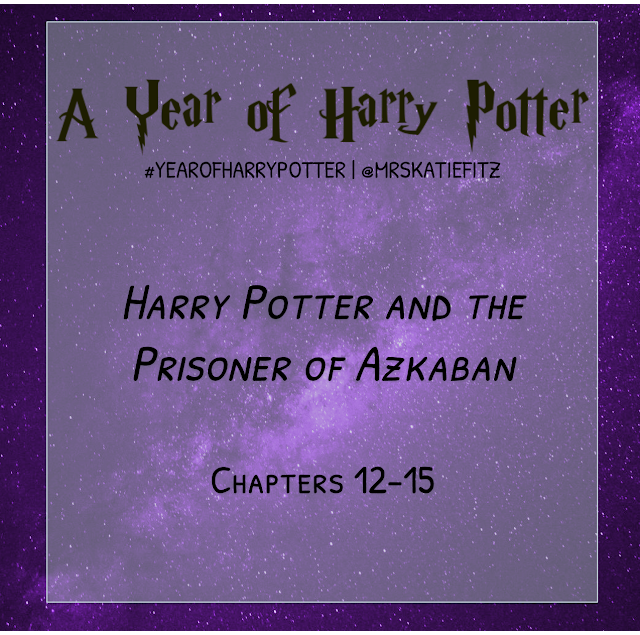 Things are getting exciting as the end of Harry Potter and the Prisoner of Azkaban approaches! In last week's chapters ("Professor Trelawney's Prediction," "Cat, Rat, and Dog," "Moony, Wormtail, Padfoot, and Prongs," and "The Servant of Lord Voldemort"), we finally sort out all the details of how Lupin and Black are connected, and how Pettigrew betrayed the Potters and then allowed Black to take the fall for him. This part of the book was pretty clear in my memory, so there weren't a lot of surprises on this re-reading. It was fun to see the scene in the Shrieking Shack play out, knowing the outcome, but as has been the case with several Snape scenes in this book, I felt he was too cartoonishly cruel. Given his role in the final two books of the series, it's almost not believable for him to be so gratuitously mean to his students. I know we're seeing him through Harry's eyes, but even so, it feels over the top. "You don't understand," whined Pettigrew. "He would have killed me, Sirius!" "THEN YOU SHOULD HAVE DIED!" roared Black "DIED RATHER THAN BETRAY YOUR FRIENDS, AS WE WOULD HAVE DONE FOR YOU!" These words really drive home the fact that Pettigrew was their friend, something that is a bit hard to believe given how deplorable he appears in this book. This line also highlights one of the reasons I don't object to Catholic kids reading these books. Rowling reinforces what Jesus says: "Greater love hath no man than this, that a man lay down his life for his friends." 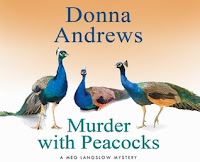 I'll be finishing the book this week, and then I'll be spending two months with book four!